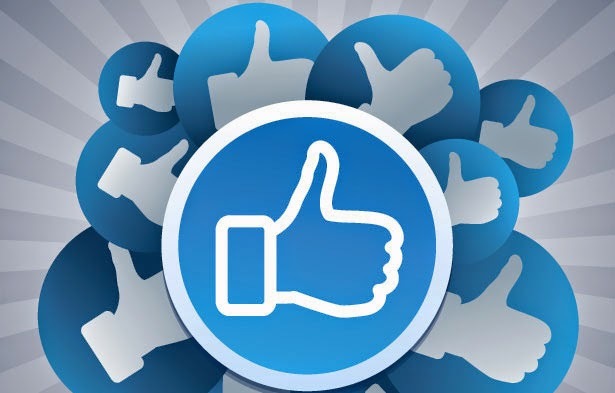 Facebook like box is a widely used gadget provided Facebook developers. Many blogs and site's get half of their traffic from social networks like Facebook, twitter, Linkedin etc but Facebook is the most popular social network and has more then 1 billion users. Bloggers and visitors get their half of traffic from their social pages where their fans follow them that's why all bloggers and site owners tries to increase their followers so that the could get more traffic because traffic is the need of every blog and website. 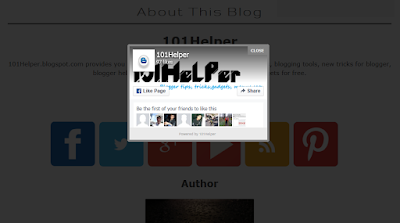 Check out other +50 blogger widgets. Boost your blog traffic by making your blog seo friendly. Step 1: Go to Blogger Dashboard and click on Layout. Step 4: Replace https://www.facebook.com/pages/101Helper/623626157780837 with your fb page link. The number of days set will decide when the pop-up box have to appear again on the same computer until the cookies are deleted. But if someone clears his browser's history along with cookies the pop-up box will appear on the same computer and the count down will start again, now after 7 days the pop-up box will appear again on the computer. Hope you like this gadget. If you have any problem regarding this post feel free to ask me in comments or contact me directly. Follow and subscribe by E-mail to get latest news about blogger gadgets in your inbox or find us on Facebook, Twitter and Google+. If you like this post take a few seconds to share it with others. Tags: Facebook like box for blogger, Facebook like box pop-up, Facebook pop-up like box for blogger, Facebook pop-up like box with lightbox for blogger, How to add facebook like box in blogger, how to get more likes on Facebook, Facebook pop-up like box with lightbox for website, How to get more followers, Smart gadgets for blogger, 101Helper gadgets for blogger. Thanks brow, only this really works!